Light up pixel sword comes with the batteries. Ready to use! 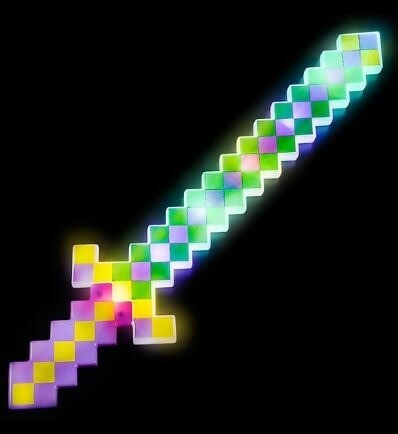 You will receive one Flashing Light Up Pixel Sword. Your order will also contain replaceable batteries so you can use it right out of the box. These specialty light-up pixel swords are a great way to get the professional gamers in your family into the spirit. Featuring three different light up modes and the traditional colors, these fun swords are sure to keep the youngsters engaged throughout the party!